There were more than 100 messages of congratulations waiting for Dee Ford on Twitter Sunday morning. Again. It started a couple of months into the football season. 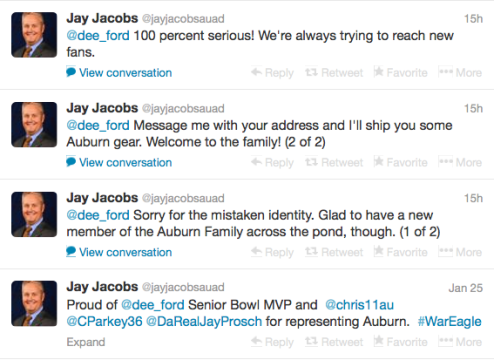 Ford would wake up to nonsensical tweets about hair color and esoteric hashtags like #WarEagle and #WDE. Finally, after some Googling, she learned why. Dee Ford, the dog-loving, commercial property surveyor from Gillingham, Kent, was being confused with Dee Ford, the piano-playing, standout defensive end from Auburn, Alabama. And what with not only their identical names, but their nearly identical Twitter handles (hers: @dee_ford, his: @dee_ford_), Ford knew it could continue. After Football Dee Ford’s MVP-winning performance in Saturday’s Senior Bowl in Mobile, it was pretty much nonstop. Just a boring surveyor from Kent. 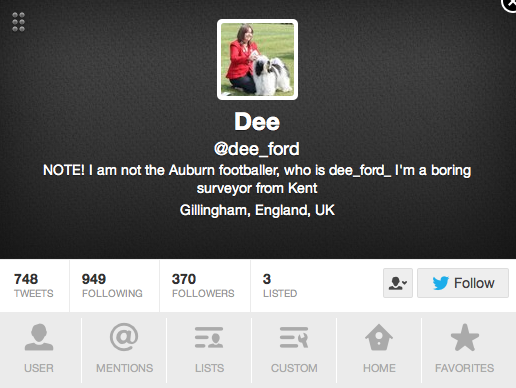 What’s weird is that there is actually another Twitter Dee Ford from Kent. 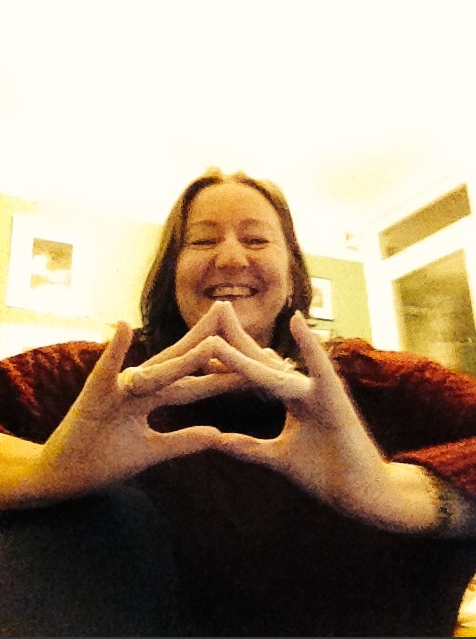 Her friends, who “think it’s hilarious,” have proposed their own solution to her social media situation. While Ford was competing in a dog show Sunday (“I didn’t win”), a new wave of mentions from across the pond flooded her phone. Only instead of being tweets meant for Auburn Dee, Auburn fans were now retweeting British Dee’s comical attempts to set the record straight. This go-round, she embraced the case of mistaken identity, even hashtagging her requisite “I AM NOT THE FOOTBALLER” tweets with #WarEagle. She spent Sunday afternoon and evening enjoying a traditional English tea of Boiled Eggs and Soldiers and engaging with Auburn fans, who gave her a crash course in Auburn tradition and American football. 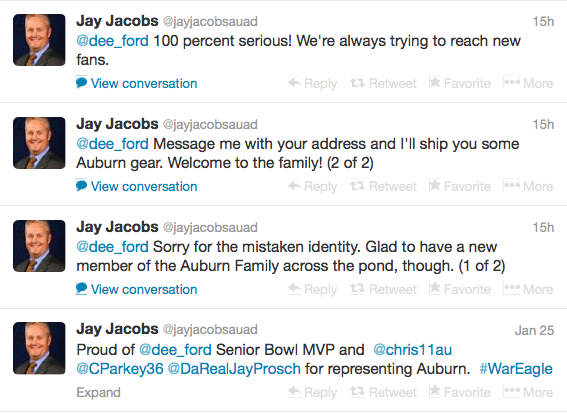 One even asked for her address so he could send her some Auburn stuff (UPDATE: which he did). 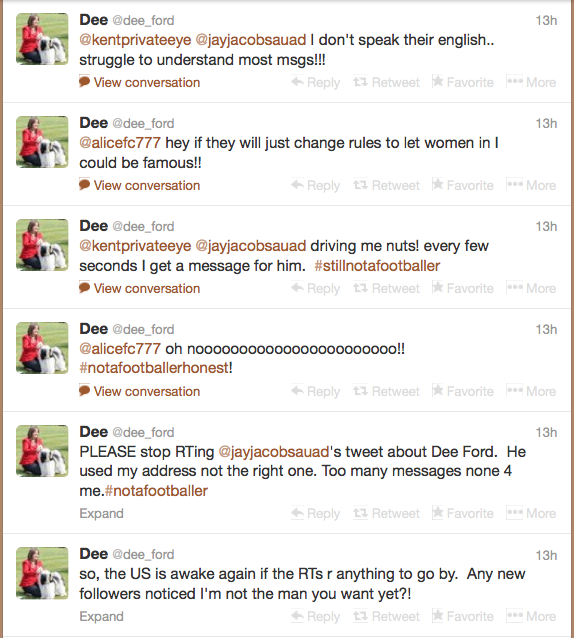 Send her a Dee Ford jersey, Jay… she’ll autograph it, eBay it, and retire into the English countryside. Related: Don Draper is an Auburn Man. Been following this mix up for a while. 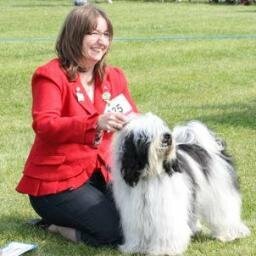 Dee’s a great lady and quite fun to tweet with. So glad you did this interview with her!!! Now if ‘ol Jay Boy can just fix that basketball problem….